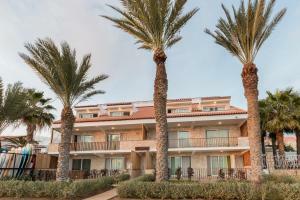 The place is located in the center of Santa Maria, right on the beach. The apartment was extremely well kept and everything was very clean. The staff was all friendly and very helpful in booking trips, taxis and pointing us to the best of Sal. We stayed on the ground floor and had a balcony with exit directly to the beach. The owners also provided the opportunity for us to experience some truly Cape Verdian experiences in Palmeira village. Everyone should attend a BBQ party with dancing in Cape Verde at least once in their lives! Walter and Ariane were very helpful and friendly and the office was open nearly all the time, which was useful. The apartment was lovely, clean, modern and everything worked - including the wifi! Our apartment was cheaper than those that had sea views, so it was our choice to face the town. However, we enjoyed people watching from our balcony and listening to the gentle guitar strumming singer from the restaurant opposite. They closed early (around 10am) and were never loud or rowdy. Great staff, nice rooftop on the highest floor, good furniture, very clean, located directly in the heart of the City and 30m away from the beach, perfect ! 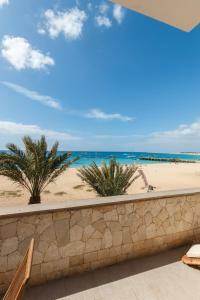 Location, absolutely best on Sal (specially sea view apartments). Villa is very well equipped. Wi-Fi was tolerable by African standards. It’s right in the beach and very clean. Staff lovely, nothing is any problem to them. 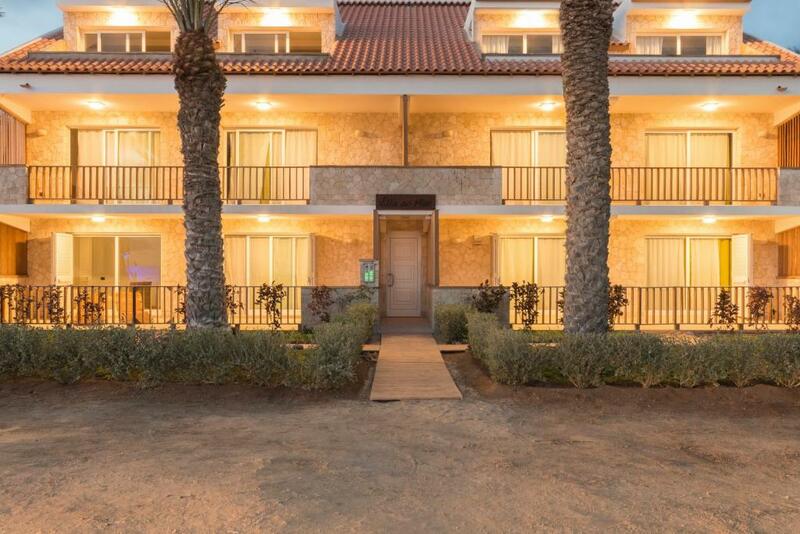 Great location on the beach, clean rooms, female staff are lovely, fun trip to Palmeira. When the lock broke to the room they hired a security guard while we went out for the night because there were no locksmiths! We also left a scarf there and they were really kind and posted it to us for free! Thank you! The staff were amazing and attentive. They were super helpful and offered a completely unique and personal experience. The villa was beautiful and in an amazing location, I would 100% recommend for people to stay there. The staff were very friendly and helpful. The villa was by the beach and very close to restaurants, bars and shops. This is a great place to visit if you like water sports. Santa Maria beach is beautiful. 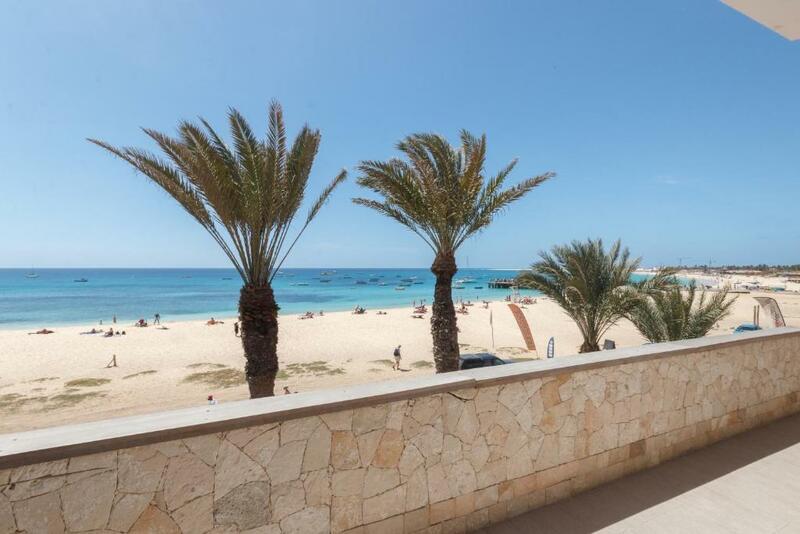 Lock in a great price for Villa ao Mar - rated 9.1 by recent guests. One of our top picks in Santa Maria.Villa ao Mar offers accommodation set in Santa Maria, 200 yards from Parish of Our Lady of Sorrows and Nazarene Church. The accommodation comes with a fully equipped kitchen with an oven and kettle, a flat-screen TV and a private bathroom with bath or shower and bidet. Some units feature a seating area and/or a terrace. Funana Casa da Cultura is a 6-minute walk from the aparthotel, while Viveiro, Botanical Garden & Zoo di Terra is 1.8 miles away. Villa ao Mar has been welcoming Booking.com guests since 19 May 2016. 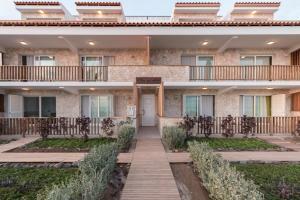 When would you like to stay at Villa ao Mar? This apartment features a microwave, toaster and kitchenware. This apartment has a electric kettle, air conditioning and microwave. This apartment features a oven, private entrance and balcony. 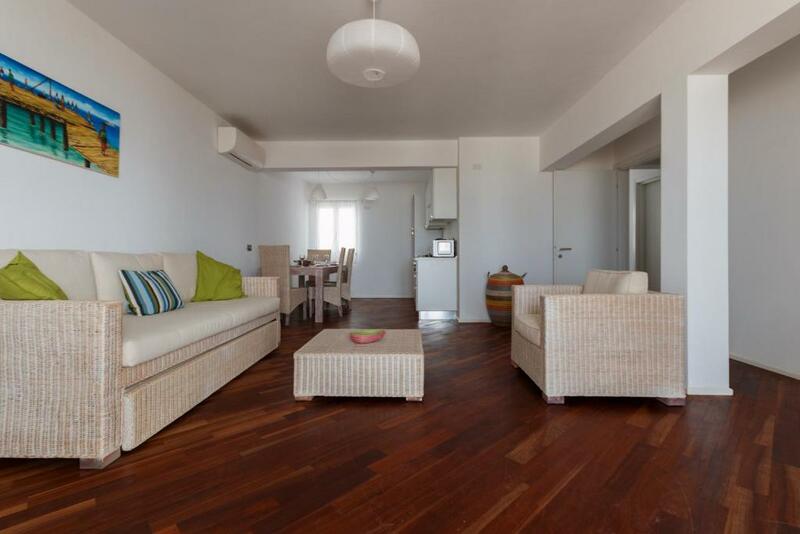 This apartment features air conditioning, dining area and balcony. This apartment features a balcony with sea view, air conditioning and stovetop. A reception service is ready to welcome the guests 24/7 in order to provide a useful logistic support to those tourists who arrive on the island for their first time. The accommodation was opened in November 2015. Services included: electricity, water and gas. Bed linen and towels, cleaning apartment midweek. Villa ao Mar is situated in a strategic location, offers a panoramic access to the beach, and another one directly to the town center, from where you can easily reach every service such as shops, supermarkets, the pharmacy, banks, bars restaurants etc. It represents the perfect choice for those people who want to organize a completely independent holiday, discovering in first person all the beauties the island has to offer, free from timetables and with all the services in a few minutes on foot. WiFi is available in all areas and costs CVE 200 per 24 hours. House rules Villa ao Mar takes special requests - add in the next step! 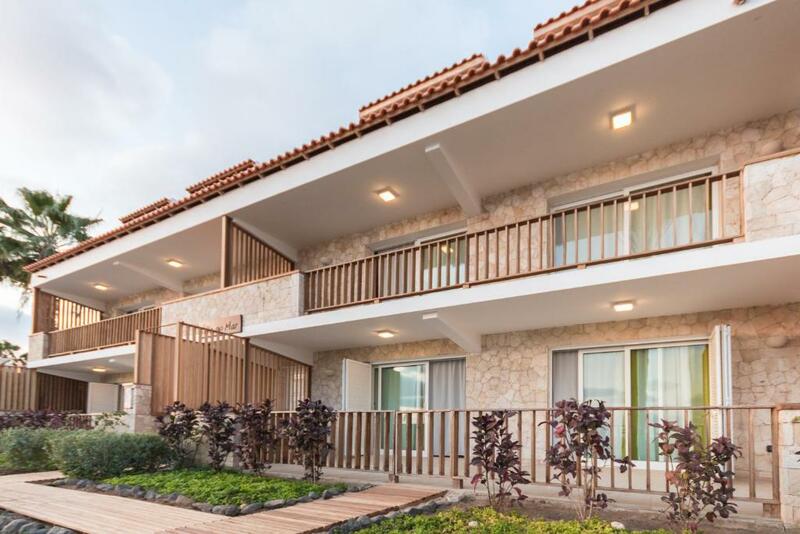 Villa ao Mar accepts these cards and reserves the right to temporarily hold an amount prior to arrival. Please inform Villa ao Mar in advance of your expected arrival time. You can use the Special Requests box when booking, or contact the property directly with the contact details provided in your confirmation. Just be careful if you rent the big city apartment and have kids, as the stairs to the bedroom and the roof terrace are better for adults. Otherwise everything was perfect. 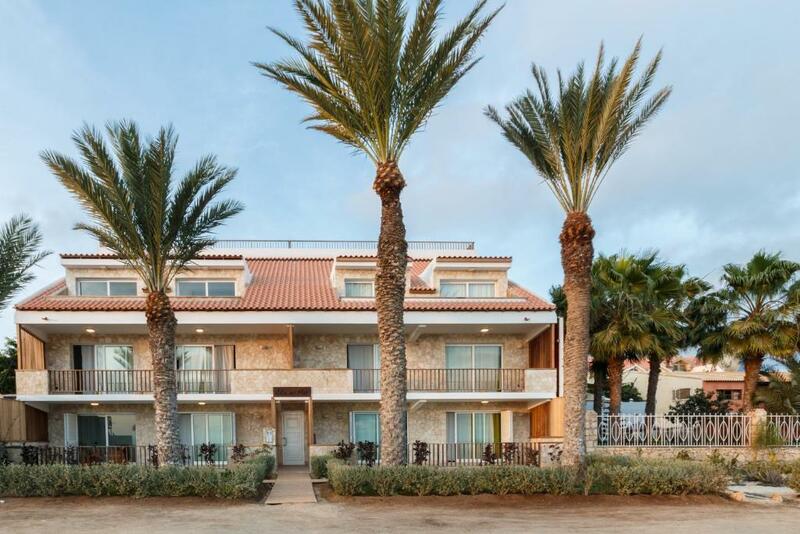 I don't think there's anywhere on Sal with a better location (and value for money) than Villa ao Mar. Apart from the fantastic, warm front-of-house staff who did everything to make my stay as comfortable as possible, the apartments are all in the heart of Santa Maria — if you haven't been to Sal before, or even if you have, it's vital to be in or near Santa Maria for all the action and excursions. Many other hotels are outside of the city or in the middle of nowhere, and this meant that people I met on excursions didn't really do much on their holidays even though they were paying loads of money for inaccessible hotels. Villa ao Mar has a 10/10 location and the most stunning apartments to stay in, all within walking distance of the best restaurants (Doña Ana, Cafe Criolo) and the beachfront. I would stay here again and again when I visit Sal. Thank you, staff at Villa ao Mar. Didn’t get an explanation why we didn’t get a room we’re we paid was just hustled into a taxi didn’t no what was happening. Although the room was real nice. And was charged a little over what we thought. Only was given 2 clean towels in 7 nights 3 would of been acceptable Had to carry our money and passports round all week as the boss man at villa au mar didn’t no how to open the safe. Would of liked to buy the WiFi but no one ever there to buy it off. If they could sort these minor issues would be lot better. But this didn’t ruin our holiday no stress love this island. We had no gripes at all. Didn't Stay long enough. We stayed 6 days. We wish we had stayed longer. Wonderful apartment with the ocean by your door. We slept and woke up every day with the sound of the waves. We were with two small kids and they just love it. Located at the very heart of Santa Maria, it's very convenient. The staff is very friendly and provide a great hospitality. Cleaning might have been more often (once in 5 days). Owner (Paolo) is too strict when coming partying, almost kicked us out after second night, because the noise was too loud for him. Had to explain it with local police on the next day, but it all sorted out. Unfortunately we were put in an apartment separate from the main building, across the square away from the beach. We woke up at 8 every morning by heavy drilling from construction noise going on next door, we only had 2 minutes of hot water.. also shower gel/shampoo is not provided. The building is shared with a massage parlor and everytime we went in or out of the apartment we were asked if we wanted a massage.. The apartment looks good and it was clean, but it just wasn't ready to host guests in it's current state.. better fix all the stuff that's not working, putting guests in there as it is seems just greedy. Also if there is construction going on next door every day from 8 am until late... Probably better to not have people stay there, or rent it out at a heavily reduced rate. The owner Paolo can seem a bit rude sometimes but we put that down to him not being great at English. Nothing it was all great. Everything was of high standard.